For life to exist, the body must have life energy. Energy is all there is. You are a latticework of energies. The next big frontier in medicine is energy medicine. The medicine of the future will be energy medicine, and chemical medicine will be a subset of medicine as a whole. Probably 80% of medicine will be energy medicine, and 20% chemical medicine. -Robert Jacobs, N.M.D. This is the first of a series of newsletters relating to concepts of Energy and Energy Medicine. As science begins to "catch up" to metaphysical theories, we are increasingly convinced that what we do not "see" or we cannot "prove" may be more real and more powerful that what we can. My favorite quote from Shirley Maclaine is "Absence of evidence is not evidence of absence." Concepts of energy medicine have been known by shamanic practitioners and other medicine peoples for thousands of centuries. They are now beginning to surface in Western consciousness. This newsletter designed to give you some basic concepts about what energy medicine is and how it affects you mentally, physically, emotionally, and spiritually. We attract what we are energetically. Who we are energetically is based on our beliefs. Our beliefs are sent out to the Universe by how we think, how we feel, and how we act. As above, so below. As within, so without. As the Native Americans, say “Mitakuye Oasin”. All my relations. We are all connected. The world is a huge mirror that reflects back to us every thing we put out, everything that we are. What we see in others, exists within us. Energy is neutral. Energy is not good or bad. However, energy can be classified into 2 types: energy which serves and energy which doesn’t serve. Energy which does not serve is exported to Mother Earth. She transforms it into energy that serves. Energy that serves can be imported from both earth and cosmic sources. Energy does spin or vibrate at different rates. Therefore, each of our bodies spin at a specific rate based on how we think, feel, and act. 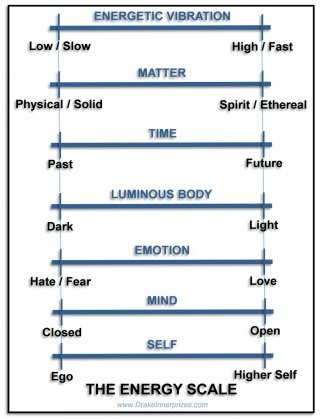 The following Energy Scale shows what slows or lowers energetic vibrations and what raises or speeds up energetic vibrations. The higher our rate of vibration, the easier it is to manifest the beautiful things we want in our lives. Where do you think you are on this scale? Our energetic levels are dynamic and will change constantly depending on what thoughts and emotions we are running at the moment. However, an individual will most likely hover in the same general area on the scale. Would you like to increase your vibration? Love is the most powerful influence to raise the vibration level of our energy. But it is also necessary to clear the energy systems of the body and remove spiritual blocks preventing living in a state of well-being. The physical body is zone part of our larger being, the luminous body. A human’s physical body consists of energy so dense we can feel and see it. However, the body also consists of less dense energy layers that are not seen within the normal range of the electromagnetic spectrum. Tibetan Buddhists call this energy body Jalü or Jalus, which means rainbow body. Amazon shamans believe that when each chakra vibrates at its natural healthy frequency, the energy body radiates the 7 colors of the rainbow. Vital Field / Etheric Body Resident here are physical trauma imprints: wounds, injuries, mutilations, dis-ease not healed previous lifetimes, as well as chi and prana energy. This is the last layer to lift off in the death process. Emotional Field / Astral Body Resident here are emotional imprints: feelings and emotional traumas from past lives, as well as the aura. This is the second layer to lift off in the death process. Mental Field / Mental Body Resident here are soul imprints: obsessive, repetitive, negative, and limiting thoughts. This is the first layer to lift off in the death process. Spiritual Field / Causal Body Resident here are spiritual imprints: the karmic ties and remnants of psychic and spiritual connections to the spirits we were strongly involved with in past lifetimes. This layer is a part of the collective unconscious and lies is beyond individual consciousness. This layer does not lift off in the death process. It is immortal. Alberto Villoldo, author of Shaman, Healer, Sage and founder of the Four Winds, also describes the layers of the energy body, which he calls the Luminous Energy Field (LEF). The LEF dwells outside of time having existed since before the beginning of time and enduring throughout infinity. It manifests in time by creating new physical bodies lifetime after lifetime. The LEF contains a template of how we live, age, heal, and die because it contains imprints of all of personal and ancestral memories, as well as traumas and wounds from former lifetimes. These imprints predispose us toward certain behaviors and attract specific energies to us. When activated, imprints mimic the initial wounding and recreate the dramas. However, this is what gives us the opportunity to heal old soul wounds. A trained shamanic practitioner can assist in draining the toxic emotional energy around an imprint and then erasing the imprint altogether. This shift in energy can heal not only the self but past and future generations, too. 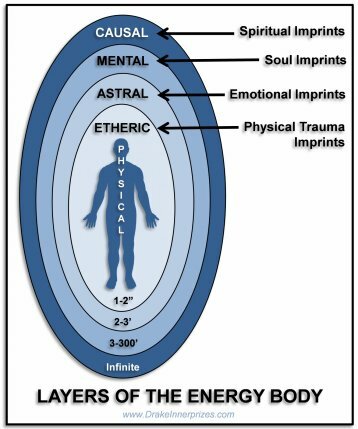 Energy Networks – Meridiansare the body’s energy bloodstream consisting of 14 channels that carry energy into, through, and out of the body. Acupuncture points along these meridians can be stimulated with needles or pressure to redistribute energy along the meridian pathway. The Celtic weave (the Ida and Pingala) is a spiraling figure-8 network that runs throughout and around the body to keep all the energy systems functioning as a single unit. The Electrics help charge and connect the other systems at an electrical level. Energy Centers The chakrasare concentrated centers or vortexes of energy that act like transformers to step down the higher energy of the aura into the lower energy of the meridian system. There are 12 major chakras and over 100 minor chakras. 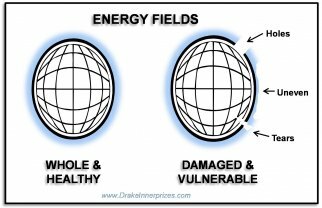 Energy Fields – The aurais a multi-layered (usually 7) shell of energy that brings in energy from the environment to your chakras and sends energy from your chakras outward. It is a protective shell. The basic grid is the body’s foundational energy that all other energy systems ride on. The radiant circuits are fluid fields that ensure that all other energy systems are working for the common good and redistribute energies to where they are most needed. Energetic Rhythms - Known in Chinese medicine as the 5 elements (water, wood, fire, earth, and metal), a person's primary rhythm, in combination with the changing rhythms of life's seasons, directs the ambience of the entire energy system. Every organ, tissue, gland, and cell in the body depend on a regular and supply of this energy in order to sustain life. The body’s energy flow can become restricted or blocked by physical trauma, emotional trauma, surgery, disease, stress, or fear. Over time these energy blocks create dis-ease, emotional and mental disorder, and/or spiritual disconnection. Energy medicine can restore and maintain the body’s energy systems by means of tapping, massaging, pinching, twisting, or connecting specific energy points on the skin; by tracing or swirling the hand over the skin along specific energy pathways; through exercises or postures designed for specific energetic effects; by focused use of the mind to move specific energies; and/or by surrounding an area with healing energies. The shortcoming of Western medicine is that the energy body is ignored whereas in Eastern medicine it is very integrated. For example, Chinese medicine is based on the theories of chi (energy) and Aruveyda is based on theories of prana (energy). So if a Westerner wants to heal on an energetic level, s/he must seek out a specialist. A specialist who is trained to work with the energy body is called a shamanic and/or energy medicine practitioner. A shamanic practitioner facilitates healing of the soul or spirit. 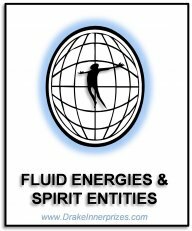 S/he specialized in working on crystallized and fluid energy, spirit possession, and missing soul parts (dis-functions 1 – 4 illustrated below). An energy medicine practitioner facilitates healing of the energy body. S/he specialized in working on ungrounded energy, damaged energy centers, pathways, and fields (dis-functions 5 – 9 shown below). A shamanic energy medicine practitioner facilitates healing for both modalities. A good example of using both modalities on treatment is the case of extracting foreign energies. The space left by the removed energy must be filled up with positive, healthy energy through guided mediation and/or Reiki energy. In addition, the energy systems must be repaired to bolster the client’s resistance. If the aura is healthy, the positive energy will be held more efficiently and outside entities cannot easily return. There is a natural overlap between shamanic practice and energy medicine practice. These two modalities can be combined to create powerful treatments that address a wide range of spiritual and energetic circumstances. Spiritual Dis-function: 1 Crystallized Energy - Some toxic energies crystallize in the energy body. 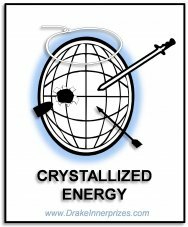 Crystallized energies are metaphoric entities used by a sorceress and angry people wishing ill will in form of psychic attacks or curses. They can be in the form of blow gun darts, spiders, insects, snakes, etc. Or a crystallized energy can be remnants of past life memories of how our injuries, wounds, and deaths. Solution: Extraction of crystallized energies, inject positive energy, and repair aura. Spiritual Dis-function: 2 Fluid Energy & Spirit Entities – Fluid energies can be aliens, astral entities (human-like, animals, bugs, astral parasites, or thought forms), dark force entities (dark angels or demons), devas, fairies, elementals, soul fragments, or undines. Spirit entities are deceased humans who are trapped in the “middle world” and have not “gone to the light”. Solution: Extraction of fluid energies and spirit entities, inject positive energy, and repair aura. 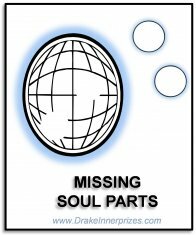 Spiritual Dis-function: 3 Missing Soul Parts - During a trauma, soul pieces have been separated and placed in a “safe” place (called the Lower World, a place of non-ordinary reality). Also, some individuals have “stolen” or “borrowed” soul pieces from you. Solution: Recover soul pieces via soul retrieval. 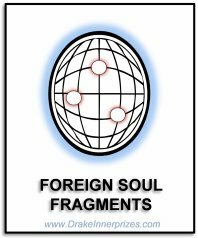 Spiritual Dis-function: 4 Foreign Soul Fragments – Just as someone else can hold on to a piece of our soul, so you can be holding on to soul fragments of another entity’s soul. Most often these parts belong close lover, friend, or family member that has moved on. In order to clear and purify your own energy body, it is important to release or return that energy to the original owner(s). Solution: Extraction of foreign soul fragments, inject positive energy, and repair aura. 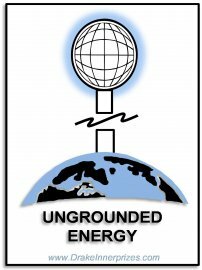 Energetic Dis-function: 5 Ungrounded Energy Body Grounding cord between our energetic body and Mother Earth is broken or damaged. Solution: Repair or create grounding cord. 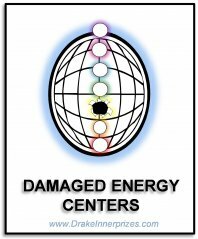 Energetic Dis-function: 6 Damaged or Blocked Energy Centers The energy centers of the body may be blocked, damaged, weak, too small, irregularly shaped, or spinning counter-clockwise. 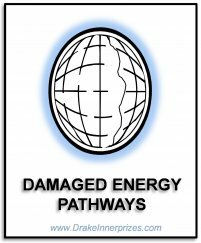 Energetic Dis-function: 7 Damaged or Blocked Energy Pathways The energy meridians and grids may be blocked, damaged, or weak. Solution: Repair meridians and grids. 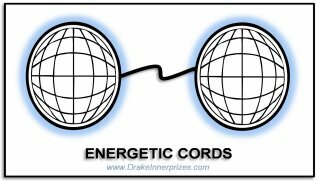 Energetic Dis-function: 8 Energetic Cords between Energy Bodies Energetic cords exist between energy bodies. Energetic Dis-function: 9 Damaged or Weak Energy FieldsAura deviations can include blobs, bulges, bright spots, cold spots, hot spots, color splotches, dark spots, dense energy, dense energy, hazy areas, elongations, holes, pulsations, and flimsy, jagged, or wavy edges. The Shamanic Energy Medicine Wheel training I offer provides tools to clear the energetic body and includes many practicums specifically designed to remove the dis-functions listed above. 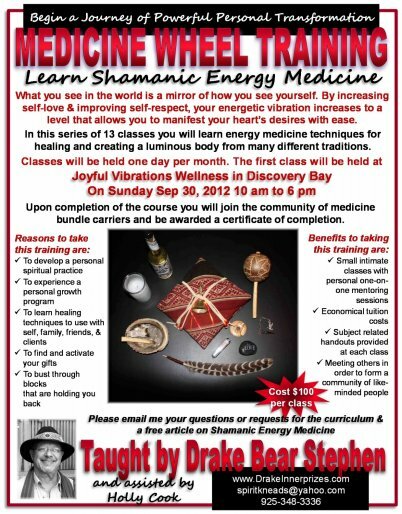 The Shamanic Energy Medicine Wheel training is geared toward urban/suburban souls that may be feeling empty from a lack of spiritual balance. The shamanic path is a non-denominational, non-dogmatic practice that develops your direct connection to spirit. It includes powerful ritual and colorful ceremony as well as psychological concepts for application to interpersonal relationships. The underlying purpose of the training is to clear your energy body so that your energy vibration increases. This results in an increased ability to create your life as you want it to be and manifest your heart’s desires. There is a new class beginning Sep 30. For details, text, call, or email me.